If you're not big on cars, it can be hard to tell when there's an issue brewing under your hood. Luckily, some issues really aren't that hard to catch. 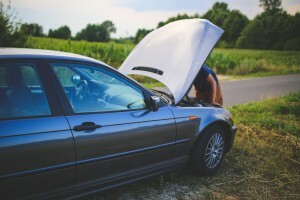 If your car has a cooling system issue, there are some telltale signs to look out for before it turns into a serious problem. The most clear and obvious sign that there is an issue in your cooling system is your coolant lighting turning on in your dashboard. When this lights up, it's basically your car telling you to check on your coolant. More often than not, this light will turn on because you're running low on coolant, meaning you need to top off your current supply. Neglecting to do this can lead to some serious damage occurring under the hood, so don't ignore your coolant light the next time it turns on. If you're driving along and you notice steam escaping from under your hood, pull over as soon as you can. Steam or smoke are both serious causes for concern, so don't ignore them hoping it'll just stop. It's very likely that your engine is overheating, so you'll need to do your best to get it to cool down before any serious damage is done. Pull over, turn off your engine, and pop open the hood when it's safe to do so. This will allow the smoke to escape faster, allowing your engine to cool down more quickly. Before touching anything under the hood, be sure everything is cool to the touch. A coolant leak will be easy enough to identify even if you're not a car expert. Since coolant is bright green in color, it's hard to miss when it's leaking. If you notice little drops of this under your car or a pool of coolant, you have a leak that needs to be taken care of. Chances are your coolant level has dropped as a result of the leak and topping off your coolant will only help for so long. Make your way to your mechanic to figure out where the leak is coming from and to get it fixed before you run into anymore trouble. In order to keep your car in the best of shape, it will require synthetic oil changes in Austin. To find the ideal products for your next oil change, contact AMSOIL Dealer- Carol Bell. They can recommend quality products like AMSOIL's Signature Series 0W-40 Synthetic Motor Oil. To learn about more products like th is, give them a call at (512) 658-0357. If you notice thick, white smoke coming out of your exhaust pipe as you're driving along, don't ignore this strange occurrence. This unusual smoke is often the result of coolant leaking internally and burning in the combustion chamber. Since you won't see drops of coolant under your car, this type of leak can be harder to detect early on. Do keep an eye on your coolant level and if you notice is dropping consistently, get your cooling system check out before it presents more issues. Make it a habit to check on your coolant level regularly so that you're able to detect cooling issues before they have a chance to develop into something bigger. If you notice your coolant is constantly disappearing, this isn't something that should be ignored. There are different reasons why this may be happening, so get this checked out before you have larger issues to deal with. Finally, another way to detect that there is an issue in your cooling system is by simply paying attention to your car's temperature gauge. Your car will operate at its best when temperatures under the hood are kept at the ideal level. Typically, when you start your car your temperature gauge's needle will start all the way to the left and work its way to the center as your engine heats up. If things start to get too hot, the needle will work its way further and further to the right. Get to know what's normal for your car so you can tell when there's an issue. Anything from a blocked radiator to low coolant can cause this, so get your cooling system checked out by your mechanic. Don't forget to take your car in for a synthetic oil change in Austin before it's too late. Find the perfect synthetic oil for your car by contacting AMSOIL Dealer- Carol Bell at (512) 658-0357. Check out their full range of AMSOIL Oil products in their online store.